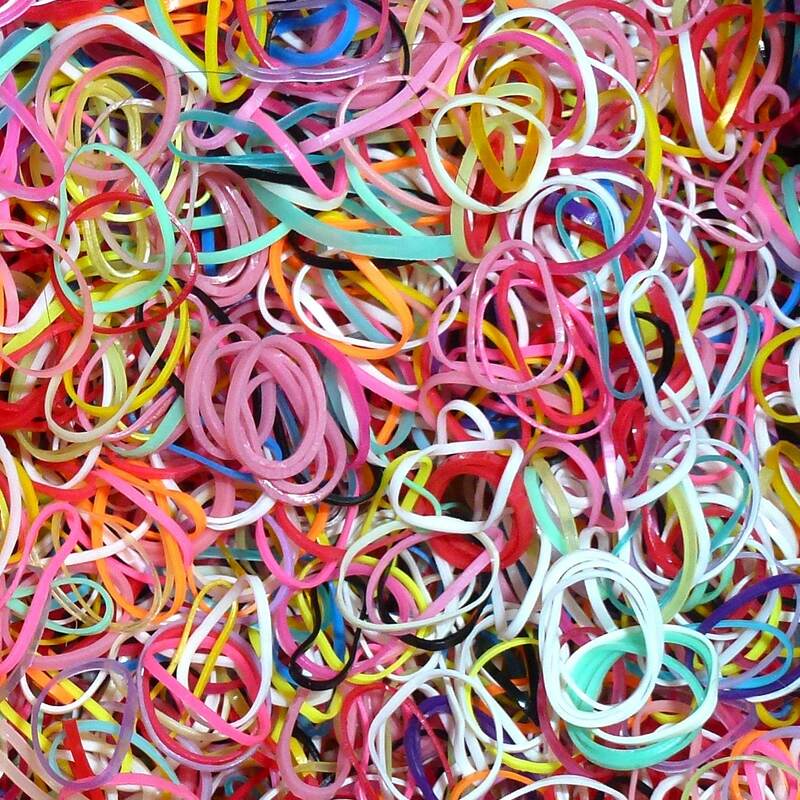 These are non latex lightweight 1/2" bands in candy colors. 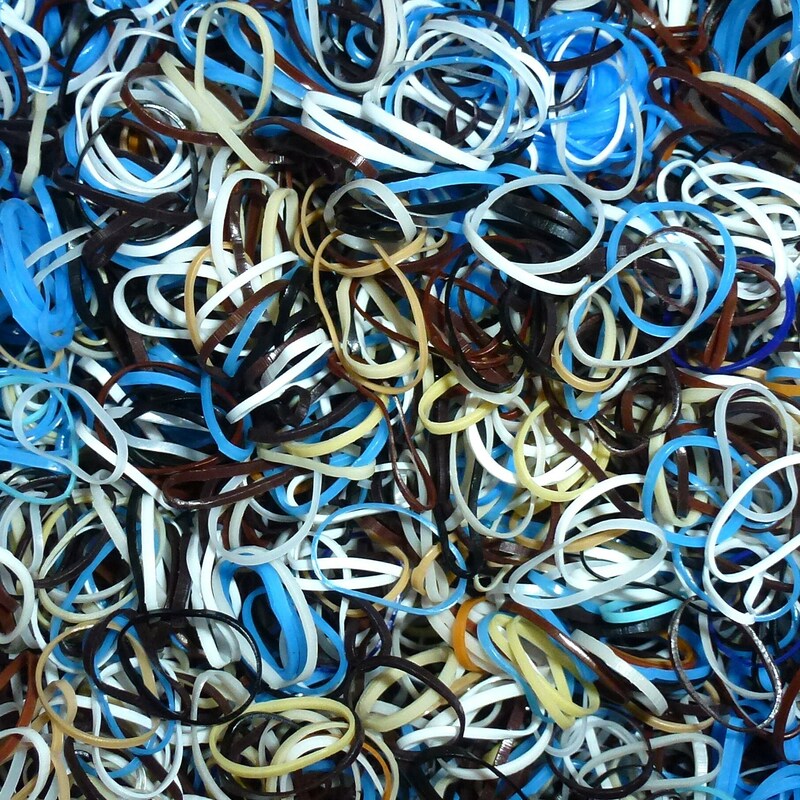 Each bag contains about 1000 bands. Colors have gotten mixed. The assortment is a mixed of all three photos. Lots of girly colors. Arrived very quickly and well packaged- thank you very much!